Andrew has specialised in personal injury litigation for over 12 years and, unusually, has extensive knowledge and experience of the workings of a claim from both a Claimant and Defendant perspective. He joined BLB Solicitors as a result of his particular interest in claims involving chronic pain conditions, including Complex Regional Pain Syndrome (CRPS), Fybromyalgia, and Myofascial Pain Syndrome. In April 2018, he was appointed Head of the Personal Injury Team. 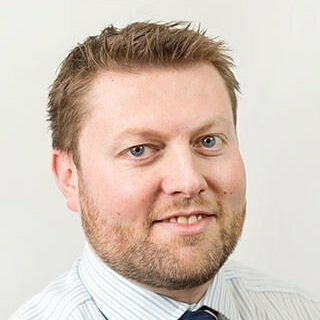 Andrew particularly enjoys working closely with medical specialists, particularly in the fields of pain medicine, rheumatology, psychiatry and neurology in order to gain the best possible understanding of a client’s condition and the limitations it imposes upon them. Andrew says, “Our primary aim here at BLB is to obtain the best possible treatment and rehabilitation for clients who have often had little if any medical intervention. Many of the best forms of treatment are either extremely difficult to source from the NHS or are very expensive in the private sector. An important part of my job is therefore seeking funding for treatment from the other party’s insurance company. That is where my past experience as a Defendant lawyer can prove invaluable. At BLB the number of clients that each member of the team acts for is kept low. In this way we are able to dedicate quality time to each of our clients to ensure that each receives the highest possible standard of representation.